FREE Kiss Artificial Nails w/ Coupon! 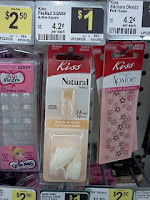 Head over to here to print out a $1/1 Kiss Nails coupon. Bring it to Dollar General to get some for free!